"The KUHL REVEL 1/4 ZIP features the remarkably soft KASHMIRA performance fleece. With fine gauge yarn and a smooth outer face, lightweight KASHMIRA provides superior warmth, wicking, and quick dry properties while also resisting pet hair and lint. 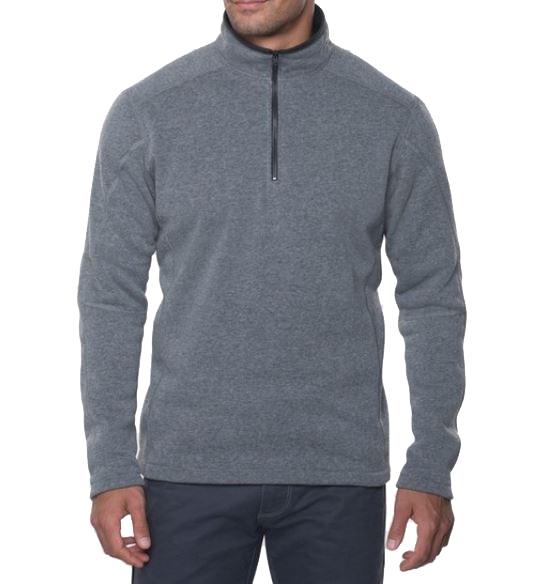 The REVEL 1/4 ZIP includes micro suede on the interior collar for warmth and comfort. The 1/4 zip style allows you to cool down or warm up with a quick zip.